Michael and David Phillips are two brothers whose family has farmed and cultivated grapes in the Lodi region since the 1850’s. Their wines are big and bold with equally eye catching labels to match. They farm their 750 acres of vineyards according to sustainable viticulture practices and since 2011 all of the Lodi grown fruit processed their winery was certified sustainable. 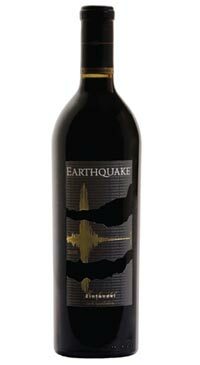 Groundshaking Zinfandel fruit awakens the nose with dried plum and deep cocoa. Blackberries and rich cocoa, ripe round tannins and a warm lasting finish.